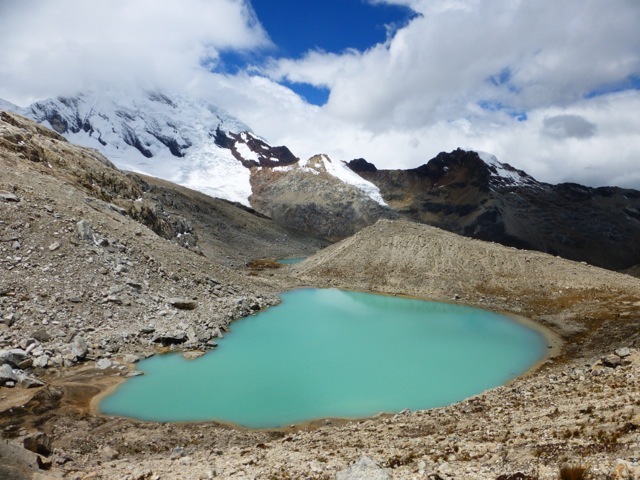 Laguna de la Plaza (4350 m / 14,272 ft) | Sierra Nevada del Cocuy, Colombia, 2015. High mountain ranges such as the Rockies, Andes and Himalaya offer some of the most spectacular hiking opportunities on the planet. However, walking at high altitude brings with it certain inherent risks, the most common of which is altitude sickness, also known as acute mountain sickness (AMS). Whilst the dangers of AMS are very real, it is a malady which is almost entirely preventable, so long as some basic precautions are followed before and during your hike. Altitude sickness is the name given to the collection of symptoms which can occur, when a person attempts to ascend too quickly at altitudes above 2,500 m (8,202 ft). Descending from Ishinca Pass (5215m / 17,109 ft) | Cordillera Blanca Traverse, Peru, 2014. 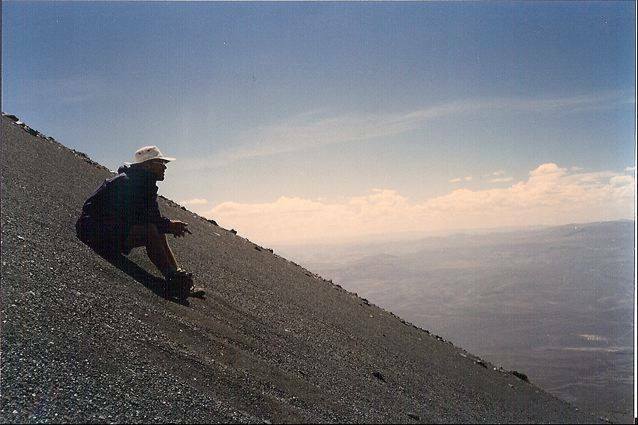 Taking a break on Volcan Misti (5,822 m / 19,101 ft) | Peru, 1996. From the time you arrive drink at least 3 litres of water per day. The air is drier and thinner at high altitude, and due to cooler temperatures many hikers make the mistake of not drinking enough water. 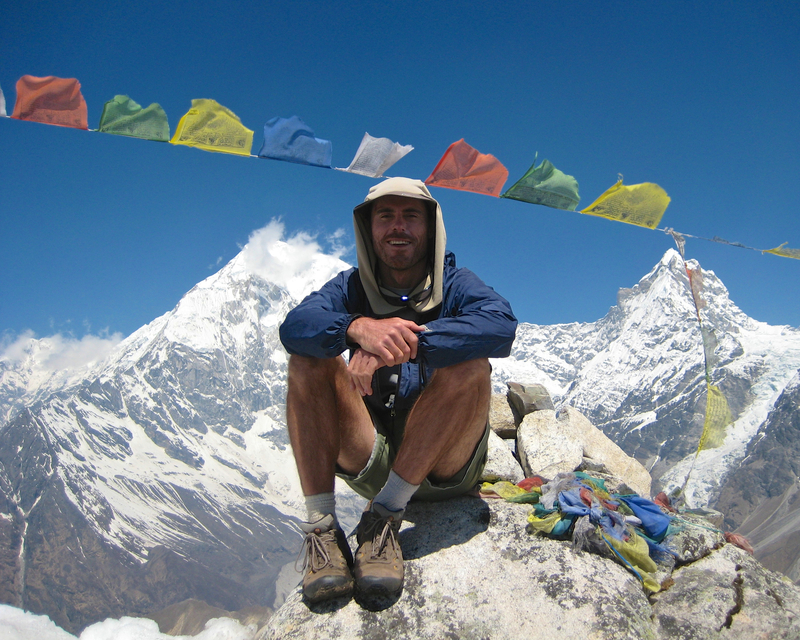 Summit of Tsergo Ri, Nepal, 2008. Climb high, sleep low is the strategy by which you sleep at a lower elevation to which you have ascended during the day. It is said that when hiking above 3,000 m (9,843 ft), you should not increase your sleeping altitude (i.e. the altitude at which you make camp) by any more than 300 m (984 ft) per day. This is a conservative estimate, but considering the potential dangers of AMS, nonetheless represents a useful benchmark for people who are new to high altitude trekking. In the beginning, it is always better to err on the side of caution. 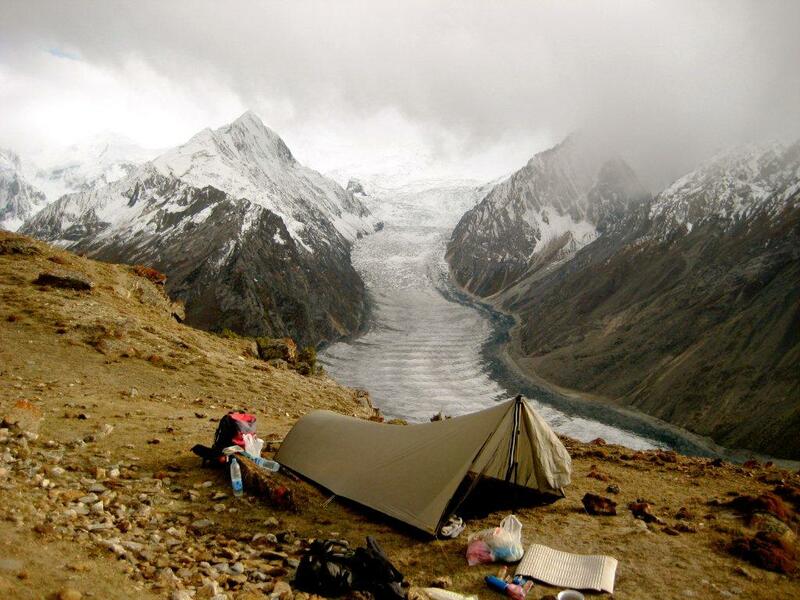 Campsite over Barphu Glacier (4,400 m / 14,436 ft) | The following morning we ascended Rush Peak (5,098 m / 16726 ft) | Karakoram Range | Rush Phari Trek, Pakistan, 2008. Once symptoms have subsided, which could take up to two or three days, it should be ok to start ascending again. Do so slowly and with awareness. Mt. 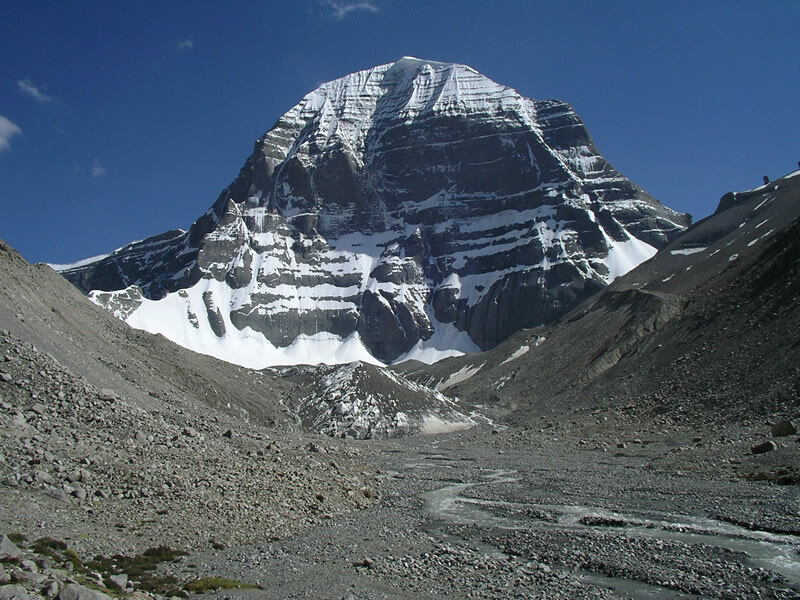 Kailash Kora, Tibet, 2006. Descend immediately (at least 500 m / 1,640 ft).